Letter II : To Sh. 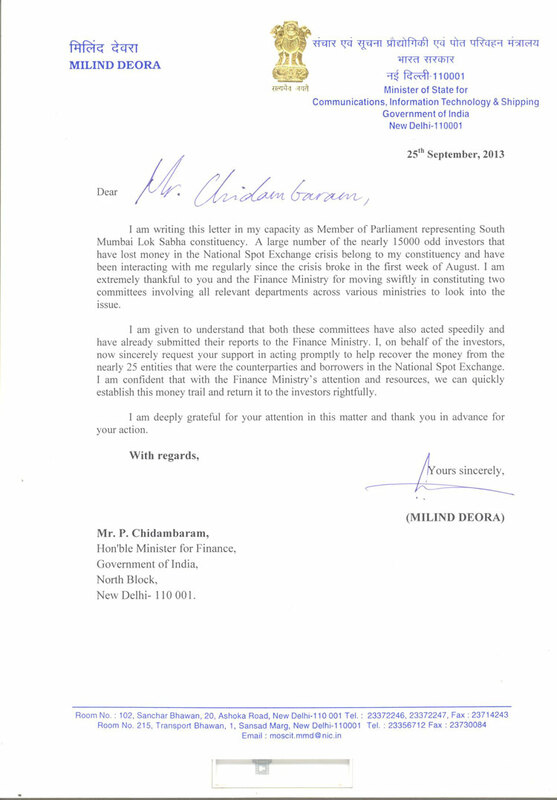 P. Chidambaram, Finance Minister for recovery of investors’ money lost in the National Spot Exchange Crisis. 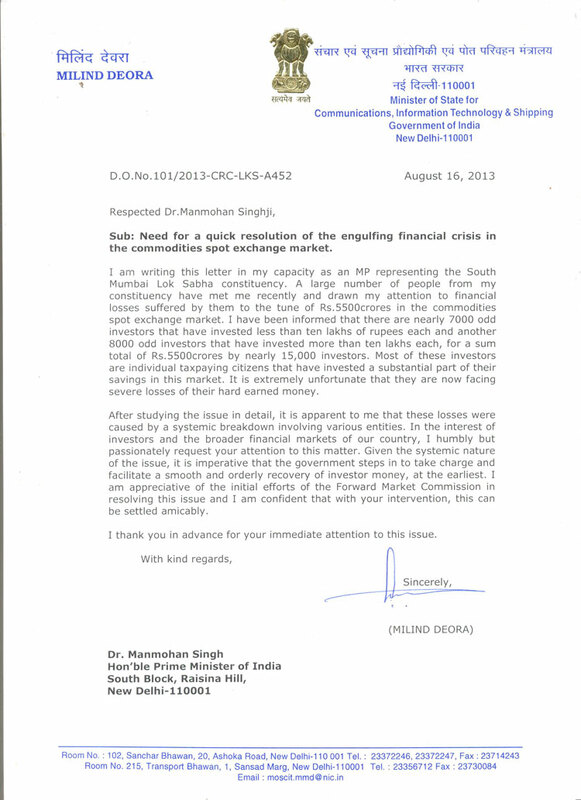 Letter I: To Hon’ble Prime Minister regarding need for a quick resolution of the engulfing financial crisis in the commodities spot exchange market.